1Do you provide the Jeep or do I bring my own for customization? Both options are available. We usually hold an inventory of new Jeep Wrangler JK models in various colors ready to be customized to your liking. If you already own a Jeep Wrangler, you can send it to us for customization. No job is too big or too small for American Custom Jeep. Now offering customization for the new Jeep Wrangler JL model. Call to discuss in detail. 2What is the difference between the Wrangler JK and Wrangler JL models? Topspeed.com provides a visual comparison of both models click here Visual Comparison Wrangler JK vs Wrangler JL Also,YouTube offers many comparison videos. 3How long does it take to custom build a Jeep? 4 to 6 weeks on average dependent on the type of build. But can meet any deadline, if requested. You will be receiving photos of your Jeep throughout the building process! 4Can I make changes to the packages in your website?  Yes, since we are the builders of these custom Jeeps, you have the option to make any changes to any of our packages, as well as add and/or remove certain items. If you want a One-of-One Jeep, we can help you design it as well. 5How does the customization affect warranty? We do not modify the engine/ powertrain, therefore, the manufacturer's powertrain warranty still applies; with the exception of the aftermarket suspension, electronics, LEDs, and other items we replace. However, our quality aftermarket parts usually come with their own limited manufacturer's warranty. Contact us for more detail. 6Do you offer shipment of the vehicle once completed? Yes, we offer COMPLIMENTARY ground shipping NATIONWIDE, or One-Way flight to pick up your custom Jeep, when you purchase a Jeep from us. 8Do you take trade ins? Yes, we consider most trade ins. 9What other services do you provide? Our parts and services are available for Jeep Wranglers and Trucks! *Call for details.